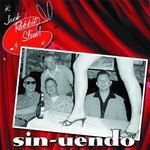 Jack Rabbit Slim is one of the most exciting and hottest bands ever to come out of the UK. Singer Bob Butfoy was previously fronting the well respected Bob & The Bearcats and other band members include ex-Rusti Steel drummer Paul Sanders. The album contains 14 tracks and 11 of which were written by Bob. I put 3 of these tracks on a recent Western Star compilation and the track 'Cherry Pie' has caused a real stir winning airplay on both Radio Caroline and BBC radio. BBC Broadcaster Geoff Barker said of this track "I'm sure this band will take the scene by storm. What a devastating sound'!"